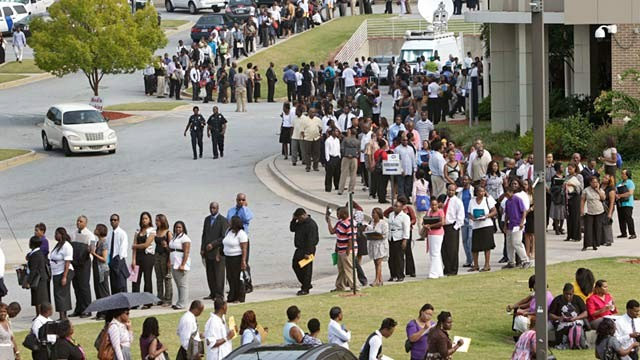 There use to be a time when Atlanta was one of the top 10 cities to live in for the working class African American, but now it's plagued with thousands of African American's standing in a long line trying to find a job. Job seekers waited overnight, camping out in their business suits and office heels and braving the tormenting heat in Atlanta to stand in line for a job fair Thursday. Authorities treated 20 people for heat exhaustion as they struggled to keep the line moving and get people inside.